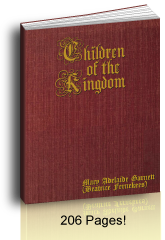 The KC Catholic Home School Convention features Catholic homeschool curriculum like Seton homeschool, Our Lady of Victory School (OLVS), and Mother of Divine Grace (MODG). 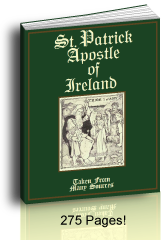 In our area, this is the best time to be able to see and to "thumb through" the products from the different Catholic companies. Oh! The energy and effort that goes into a successful convention! If you are looking for Catholic homeschool curriculum ideas and resources a homeschool conference is like a "Catholic homeschool mall"! The KC Conference has a long list of speakers and workshops. Andrew Pudewa of Institute for Excellence in Writing (IEW) and Laura Berquist of Mother of Divine Grace and author of Designing Your Own Classical Curriculum come to give their advice and to show their wares. Barbara Beers of Schola Publications was there one year with her fantastic phonics training program. The location changes from year to year so be encouraged to check their website for the current location and directions as different parishes host the event. They website also has a lodging list for your convenience. 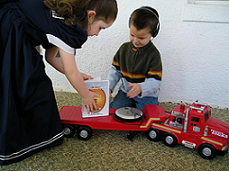 The Kansas City annual Catholic home school conference draws Seton Home Study School, Mother of Divine Grace, and Sacred Heart Books and Gifts, LLC. They have dozens more Vendors and Exhibitors, too. The KC Catholic Home School Conference also has a list of Catholic home school support groups in the greater Kansas City area. Be sure to visit their Midwest Catholic Home School Support Groups page for names, phone numbers and email contacts! 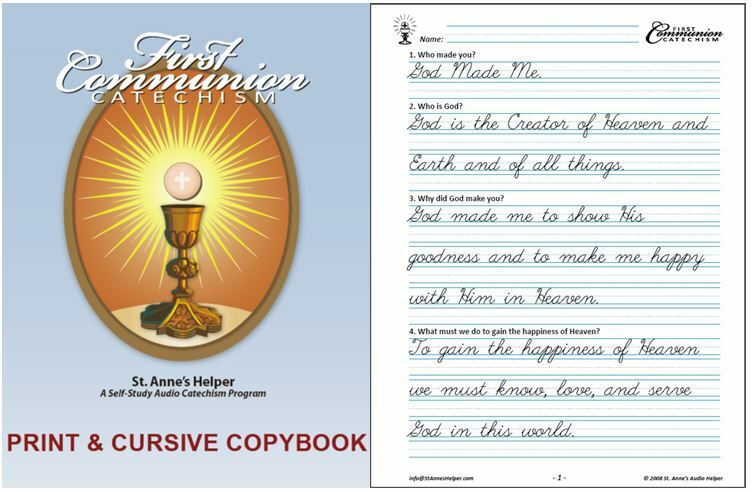 St. Anne's Helper uses the Baltimore Catechism to help you teach the basics of the faith to your children. 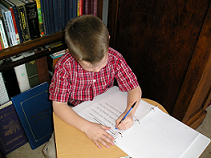 We're here to fill the need when you wish that you had a tutor to help with the children's memory work. 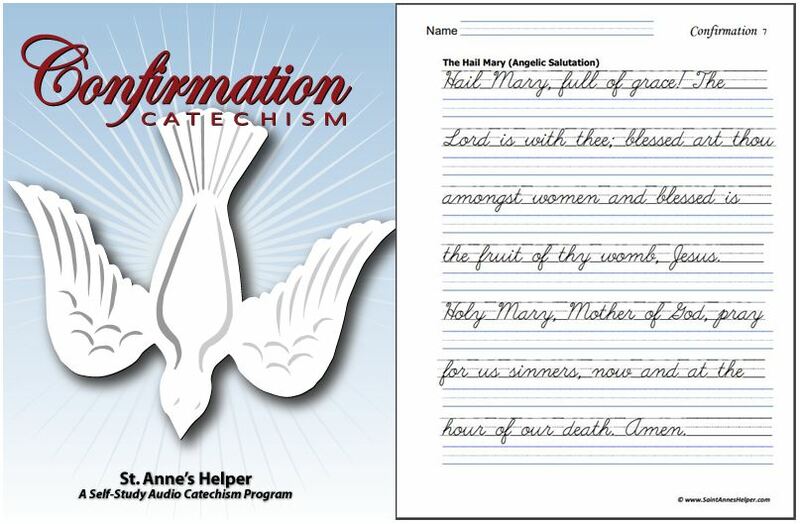 If your Catholic home school program includes the Baltimore Catechism and you want to make it easy for your children to memorize the prayers and answers, take a look at our Audio CDs, Worksheets, and Coloring Pages. Kids love Catholic home school!